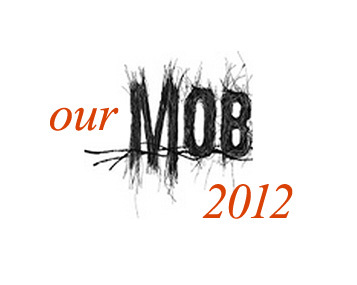 Our Mob 2012, ending on 2 December, is a statewide celebration of South Australian Indigenous art and artists. Now in its seventh year, this annual exhibition is an engaging experience that raises public awareness and understanding of Indigenous art and cultures from across South Australia, and generates pride and involvement for artists. Our Mob showcases contemporary Indigenous art by emerging artists from all corners of the state, as well as well-known Indigenous artists such as Trevor Nickolls, Peter Sharrock, Harry Tjutjuna, Robin Kankapankatja and many others. Our Mob will also feature a large mural on the Festival Centre carpark wall made by young Indigenous street artist Shane Cooke with Narisha Cash. This year 125 artworks by 118 artists have been selected for exhibition. 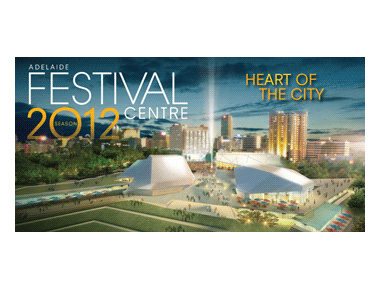 These artists come from all over the state, from Mt Gambier in the south east to the far west coast Ceduna and Oak Valley communities, Port Lincoln, the Riverland, Iron Triangle regions, Coober Pedy and far north remote communities of the APY Lands including Tjungu Palya, Kaltjiti, Iwantja and Ninuku Art Centres. Our Mob also recognises young Indigenous artists in Our Young Mob, where 30 artists under 18 will have their work integrated alongside all the Our Mob entries. A feature is two large paintings collectively painted by Pitjantjatjara children aged 2 to 16 at Tjungu Palya Arts made under the guidance of their renowned artist grandparents such as Keith Stevens, Ginger Wikilyiri, Tjampawa Stevens, Bernard Tjalkuri, and David Miller. Our Mob 2012 is being run in the Artspace Gallery, and features a special artwork created by Ngarrindjeri artists with Craig Walsh projected on the Artspace Plaza. Catch it before it ends on 2 December 2012.